I have finally updated my business site! I last updated it in 2004 and it was so out of date that I had to unpublish half of the pages because the information was no longer accurate. The focus of my business has changed over the years. When I first started out, I made mostly static table-based HTML sites. I started using CSS for presentation soon after that, and eventually started using CSS for layout as well. When I first created LBnuke, it was made with a content management system (CMS) called PostNuke. It was my first experience with PHP, MySQL, and a CMS in general. I had never seen anything like it and quickly started investigating just about every open source PHP/MySQL CMS that I could find. Once I learned how they worked, I started specializing in customizing the design and function of open source CMS’s. After years of experimenting, I finally decided that my favorite CMS of them all is WordPress. All this month I have been working on my new business site. I ditched a custom design that I was working on and then an XHTML/CSS template site that I was contemplating before finally deciding to convert BeeDragon to wordpress using a really nice wordpress theme that I found. I added some images (including a bee and a dragon of course), some rounded CSS boxes, updated my site content and pricing, came up with a few special offers, and put it up live last night. 1995 – version 1.0 – No layout at all, not even a table. All text is centered. Animated GIF of a dragon flying across the screen repeatedly. 1997 – v2 – Table based version of the same site. Graphic page title images. Presentational CSS added. <FONT> tags removed. 1999 – v3 – Template Monster template with Flash header. Need I say more? 2004 – v4 – Mambo/Joomla CMS. Nice for 2004, but too boxy and modular for 2007. Very web 1.0. Hardly anyone has ever heard of a blog, so long detailed explanations were necessary but confusing. 2007 – v5.0 – Customized WordPress site. Reflects what I do. Updated prices. Simple. Pretty. Tables for data only. * Fine Print: Technically, this is not really a history of BeeDragon.com. 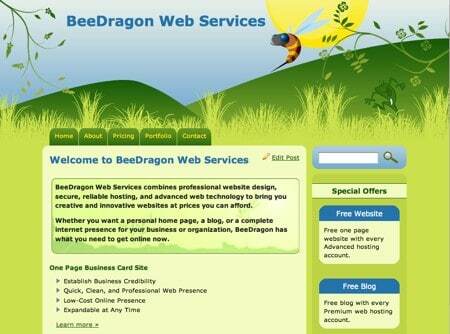 BeeDragon.com was registered in 2002. Before that, my “web design business” sites lived on aol, compuserve, and home.attbi.com. The new site rocks – and I say that with total objectivity and lack of bias 🙂 It was fun to help! You’ve reached an inspiring level of simplicity and clarity on your business site. I work for a small ISP and we’re doing some makeovers of our site currently, and it seems there is always so much unnecessary complexity and clutter to eliminate. Hope we can get it half as nice as yours. I like how you’ve used WP for your site. I try to push WordPress to our hosting customers, especially non-techie folks. I call it a site-building tool, not a blogging tool. Joomla or Drupal are such overkill for most sites. We’re having some success teaching intensive small WP classes. 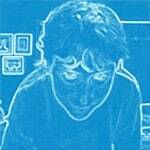 Love the blog too, and I hope I get to meet you at Wordcamp on Saturday! I’m attending with my coworkers Diana and Westi; you can see us on the attendee list.